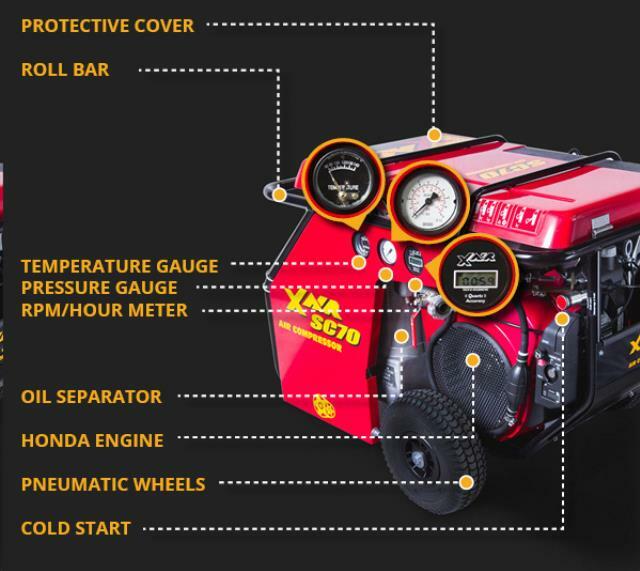 PORTABLE GAS POWERED AIR COMPRESSOR W/ELECTRIC START. HAS REMOVABLE 5 GAL. 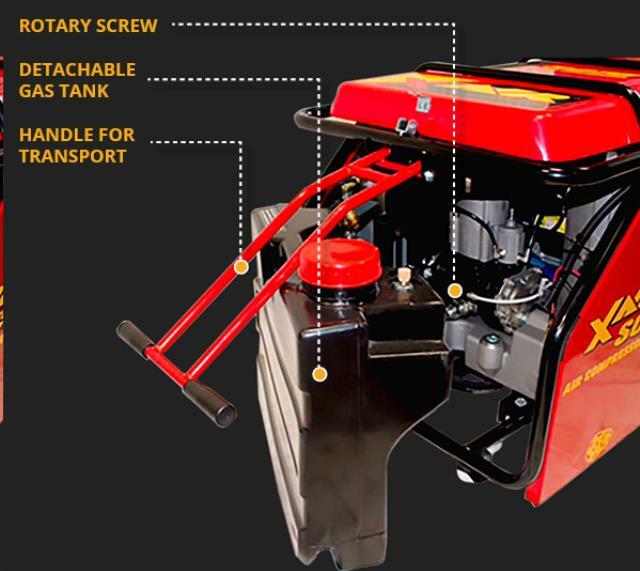 FUEL TANK FOR EASY TRANSPORT/REFUELING. CAN OPERATE UP TO 90 LB. BREAKER. HAS PNEUMATIC TIRES & RETRACTABLE HANDLE FOR MANUAL TRANSPORT. DIMENSIONS: 34"L X 26"W X 23"H; DRY WEIGHT= 300 LBS. * Please call us with any questions about our air compressor 70 cfm portable rentals in Old Town ME, Milford, Bangor, Pea Cove, Eddington, Bradley, Orono, Bangor ME.